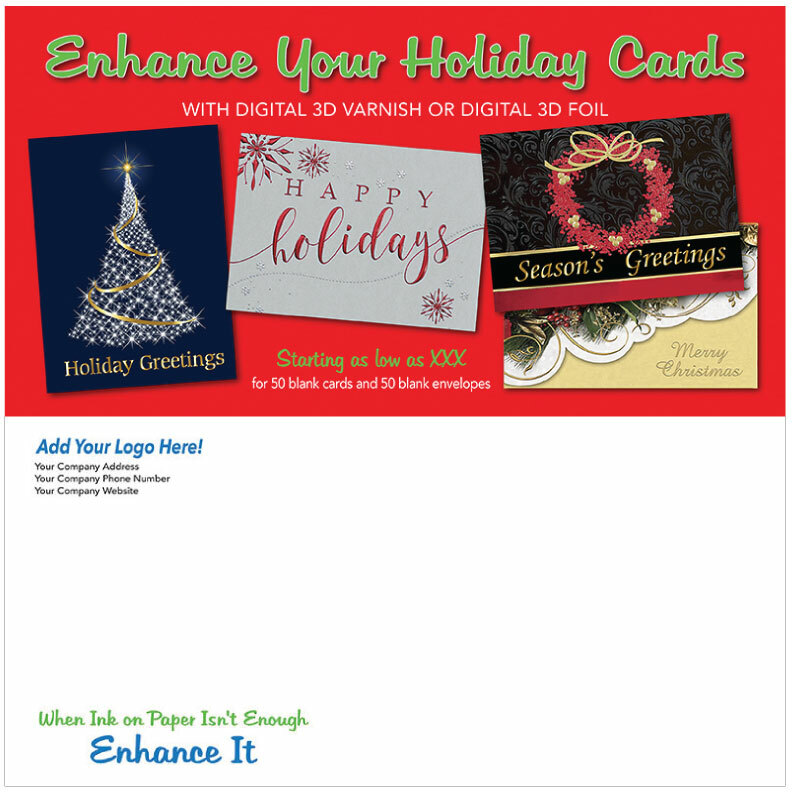 Choose from our mailings to customize for your company and share with your customers! Need help with marketing? 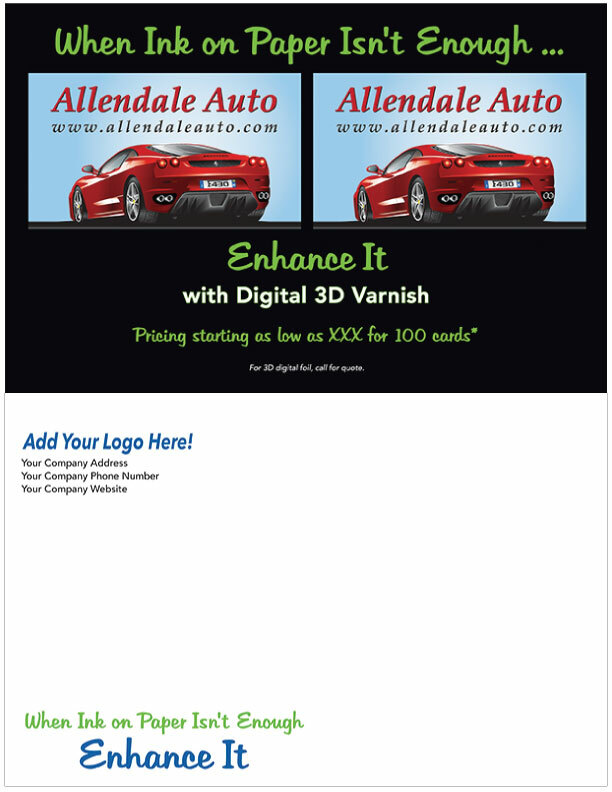 Our mailings are available to our dealers to customize and share with your customers! Step One: Choose a mailing from our selection below. Dealers are welcome to submit a quote request for pricing. Step Two: Customize by adding your company logo and contact information. Step Three: Address & mail to your customer base, or send us the addresses and we will mail them for you! Step Four: Repeat! The key to marketing is consistency so plan ahead for next month's marketing and order a second mailer! - Soft touch lamination on front only. - Available customizations include: Company logo and contact information. Variable data & direct mailing services are available. - Finished folded size is 8.5''x5.5'' (folded size of 4.25''x5.5'') with blank envelopes. - 4/0 CMYK digital print. - Soft touch lamination on front. 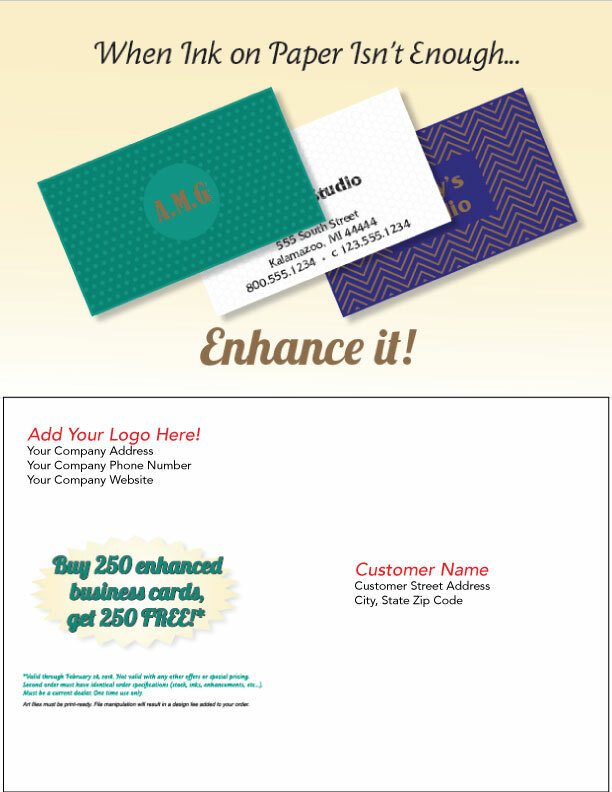 - Available customizations include: Add your company logo and contact information on envelopes. 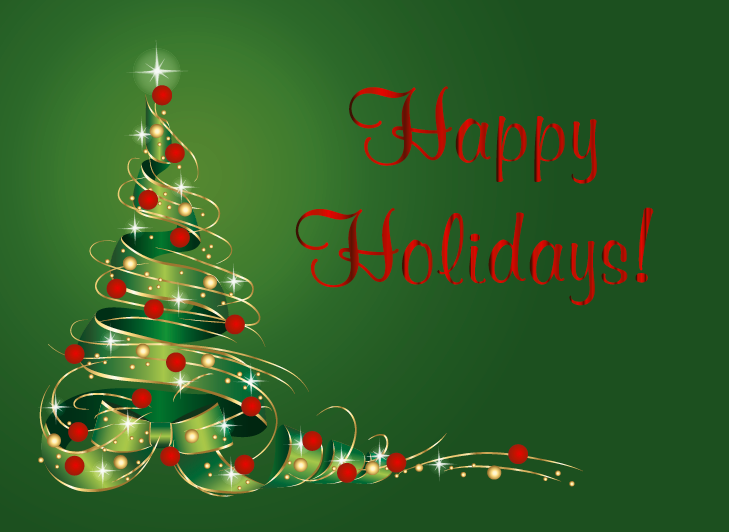 Include a custom greeting on inside of card. Variable data & direct mailing services available. - Finished size is 6.25''x4.5''. - Available customizations include: Add your company logo and contact information. Variable data and direct mailing services available. - Finished folded size is 6.25''x4.5'' with blank envelopes. 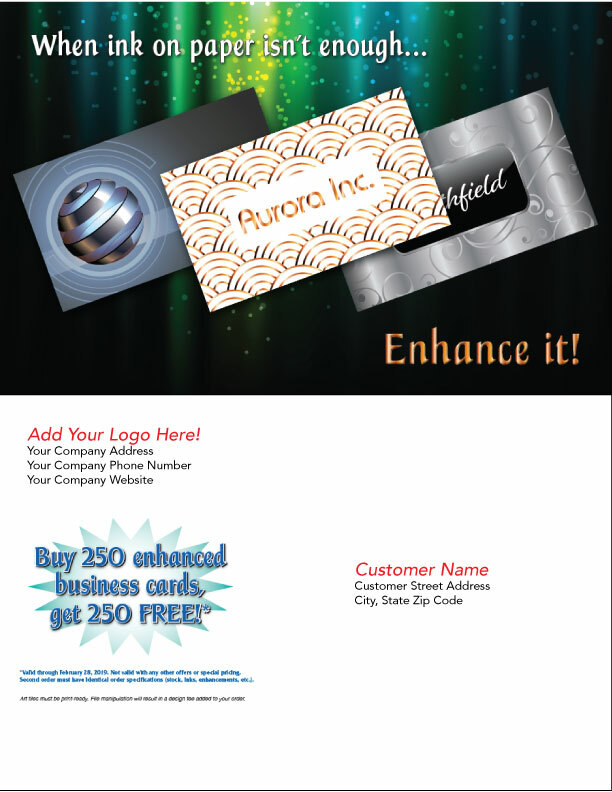 - Available customizations include: Add your company logo and contact information on envelopes. Variable data & direct mailing services available. - Soft touch lamination on both sides. - Available customizations include: Add your company logo and contact information. Variable data & direct mailing services available. - Available customizations include: Add your company logo, contact information and greeting to back. Variable data & direct mailing services available. - Gloss lamination on front only. - Available customizations include: Company logo, contact information, and price per 50 cards and envelopes. Variable data & direct mailing services are available. 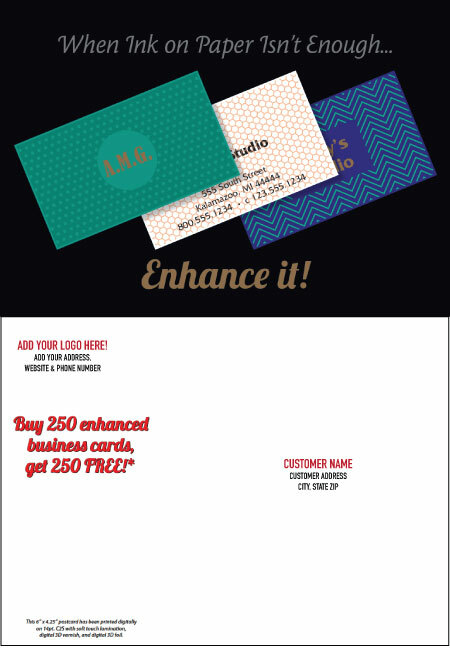 - Available customizations include: Company logo, contact information, and price per 100 cards. Variable data & direct mailing services available. Must be a current dealer to participate. To request more information on becoming a dealer, click here. All pieces are ordered as shown other than the noted modified areas on each piece. For additional changes to art files, a design fee will be applied to the order.